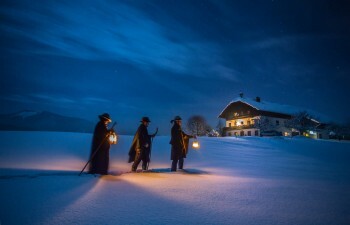 Advent in the mountains -… do something really different. Look for the silence before Christmas comes. Enjoy the “the silent time” with a walk through a snowy winter forest, a stroll through one of the many Christmas markets or an Advent choral concert. Escape the pre-Christmas stress and get ready for a peaceful Christmas holiday. Stand still – linger – enjoy pleasure. Give yourself a few hours at this time, which can be very special – if you allow it.